Celebrate The Milestones In Your Journey To Big Success! 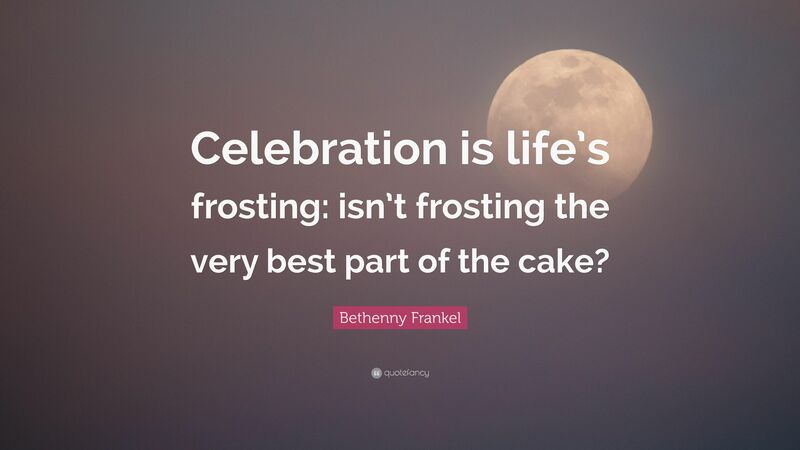 Remember to celebrate milestones as you prepare for the road ahead! You decided to participate in an extempore competition and made sincere efforts for it. You could not win but appreciate yourself because you resolved to go ahead with something that you always dread. You made a list of New Year Resolutions but somehow couldn’t fulfill all of them. Still, pat yourself for churning out a few of them successfully. You look forward to achieving a top position in the upcoming examinations but reach somewhere near to it. Do not be disheartened for you put your heart and soul into getting where you wanted! Quite often we fail to see through our small accomplishments in our quotidian lives. It is because we have been contemplating over the big picture and therefore, do not pay attention to little moments of triumph we encounter every day. We are worried about the destination and since we are stuck in the web of our anxieties, the journey doesn’t please us. Our desires and goals we have been nursing in our minds for years keep coming back to us. A step was taken in the direction of realizing them, it results in a failure, distresses us. We are bound to fixate upon the peak, the top of the ladder while the lower rung of it is equally important to be considered. You need to climb to get up there. One needs to learn to be happy in his small victories. It is a difficult battle, the one you wage against yourself to get out of your comfort zone and hit the trail. So, even if you are miles away from your target, though there is a gaping lacuna between where you are and where you aspire to be, take pleasure in achieving progress. Each step you would take in the pursuit of your goals will contribute, then why not celebrate when you are done conquering the mound. A mountain awaits you but a lot of hills need to be scaled to reach the pinnacle. An instant overnight success sounds way too amazing. But success will never pour in easily. A series of attempts, some serious setbacks, and small wins will cumulatively culminate into the grand and desired success. Let us accept that none is going to be present around all the time to pick us when we falter and fall down. Yet there is one who is your constant companion and that is YOU! Be self-motivated for it is a power efficient enough to charge you up instantly and copiously. Praise yourself for each advancement you make towards your goal. This way you are more likely to achieve it. In a nutshell, be mindful of your small victories as well as the bigger one you aim. An accomplishment, however small it may be, has a vital role to play in your voyage. Do not keep it at the bay. Instead, revel in its glory. If you have been brave enough to embark on your journey and if you have been consistently working hard for it, the fruits of your efforts shall ripen soon. Beginning and conquering your fears is equal to half the battle fought. This habit of assigning significance to small wins will fill you with positive energy to take on more daunting challenges! ⟵Who Should Our Idols Really Be?